The Saturday afternoon performances kicked off with violinist Ellen Nisbeth, swiftly followed by classical musician Keertan Kaur Rehal and then pianist Eloise Bella Kohn (who had replaced Tamas Palfalvi due to illness). But it was the fourth act of the day, folk duo The Rheingans Sisters, that proved to be a real personal highlight. Their inviting stage presence, coupled with captivating stories and well-considered lyrics, eased the audience into a set list which flowed into a musical conversation between performers and spectators. 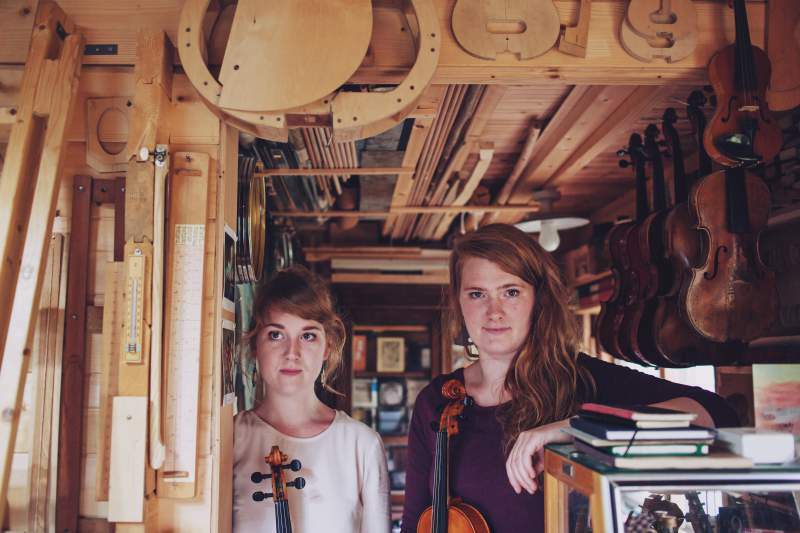 As the sisters passionately played fiddles created by their father, innovative styles pulled from French and Scandinavian traditions offered a different take on traditional folk music. New track The Forest boldly looked at the tragic damages caused by humanity, with lyrics that enchanted and clung to the audience long after the vocals had ended. Following The Rheingans Sisters and also worth mentioning was the extremely talented Christoph Sietzen, an Austrian percussionist. Eccentric and energetic, Christoph captivated the audience as he played each of his individual instruments with ease. A phenomenal performance of Bach’s Chaconne from Partita for violin solo No.2 stunned the audience, marking the young musician as a force to be reckoned with. The day’s showcase ended with performances from Mali Hayes and her excellent band on the concourse which rounded off the afternoon perfectly.